FUTURES Foundation for Volusia County Schools graduated 39 high school juniors on Tuesday, April 3, from its 30th annual Tomorrow’s Leaders Program which develops young leaders for our community. The students, representing all 10 area public high schools, participated in six day-long seminars coordinated by community leaders. Each seminar is designed to familiarize the students with different aspects and services in Volusia County and to develop leadership skills. Included in the program were lectures, discussions and tours of various businesses and governmental facilities. Seminar subjects include: criminal justice and the court system; economic development and manufacturing; the Arts; education and governmental systems; leadership, diversity and ethics; and health care and social services. Tour sites and partners included Embry-Riddle Aeronautical University, Stewart-Marchman-Act Behavioral Healthcare’s Residential Adolescent Program, Bob’s Space Racers, Inc., Atlantic Center for the Arts, Houligan’s Spirited Sports Grille in Port Orange, Halifax Health Medical Center, Halifax Urban Ministries’ Family Shelter & HUM Center and Hope Place, the Historic Volusia County Courthouse, Volusia County Council, Volusia County Supervisor of Elections Department, Seventh Judicial Circuit Judge Leah Case’s courtroom, Volusia County Branch Jail, Volusia County School District’s DeLand Administrative Complex and Universal Resort Florida. Through the seminars, panel discussions and study groups, these 39 high school juniors were challenged to expand their awareness of the inter-relationships and complexities of our community. Seminar sponsors included Brown & Brown of Florida, Mr. and Mrs. Stanford Davidson, Jr., Halifax Health, Houligan’s Spirited Sports Grille, Jersey Mike’s, Universal Resort Florida, and Rosaria Upchurch, Ph.D., LMFT. 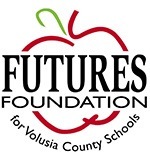 The Tomorrow’s Leaders Program is coordinated and presented by the FUTURES Foundation for Volusia County Schools. 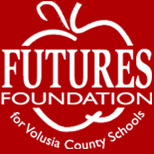 For more information about FUTURES Foundation and the programs it provides, please visit its website at www.FUTURESVolusia.org. or contact Executive Director Cynthia Ramirez at (386) 255-6475, extension 50730, or caperric@Volusia.K12.FL.US.